Blockchain mining requires the usage of high energy levels and computing capabilities that contribute to global warming and greenhouse gas emissions into the atmosphere. The VenusEnergy project team seeks to solve these problems by implementing the use of renewable energy sources to carry out computations during mining of Bitcoin. Arnoldas Belozaravičius, the CEO of VenusEnergy project shares more details about the project, the idea behind and its goals. -How did you have the idea to start VenusEnergy? fuel; to minimize the impact to the environment we offer a green alternative while using renewable energy sources. -What does the name VenusEnergy stand for? At first the name of our project was VenusCoin, however we have expanded our vision on how to use and adapt alternative energy for blockchain and decided to change the name to a more suitable one before the project advanced any further. -What exactly is VenusEnergy and what makes it different from other projects? Our project is unique in a way that it is a mining platform where electricity is made from renewable energy sources. It enables us not only to save the environment, but also to reduce the electricity expenses, which means that miners will earn more profits. Our resources will allow mining other cryptocurrencies as well. -How is the ICO going so far? We see that there is a huge flow of information and a number of projects in the market. The competition is fierce and we definitely feel the pressure as the requirements are growing fast. However, we are steadily moving forward. Our ICO is divided into 3 stages and the value of the token will rise after each of them. -What are the most important milestones of this project? I could name three key stages: a successful ICO, the creation and integration of energy sources into a network and the creation of a mining platform. -What can you tell us about the token? The abbreviation of the token is VENUS. 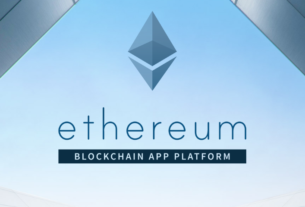 It is a standard ERC20 that was created on Ethereum platform and we have launched a total 80 billion of tokens. However, when we changed the name to VenusEnergy the token wasn’t changed. -Behind every great project, there is a solid team. What can you tell us about the team behind the project? I can’t agree more with this statement. We have built a team of experienced professionals that work in the fields of IT, business and product development, finance and marketing. Each member of our team plays a significant role in the project and his or her contribution makes a huge impact on VenusEnergy. -What are the future plans of VenusEnergy? We have big plans ahead. As we are working in a rapidly changing environment, we are constantly looking for new ways and ideas on how to integrate both alternative and green energy into blockchain and P2P. One of our goals is that VenusEnergy holders would be able to buy mining power on our platform much cheaper than it will cost using other currencies. Our token holders will receive discounts up to 30%. VenusEnergy’s website is a very good place to start from.